March 27, 2019: The Nokia 7.1 has a new update that installs March 2019 security patch in the U.S. and India. The update is quite heavy weighing in at above 340MB, so it must be carrying more than just the regular security updates. The software is arriving as V3.51F. The Nokia 7.1 launched in October 2018 and has since been spreading its love across multiple global markets. The phone is powered by Android 8.1 Oreo out of the box, boasting the goodies of Google’s Android One on top. 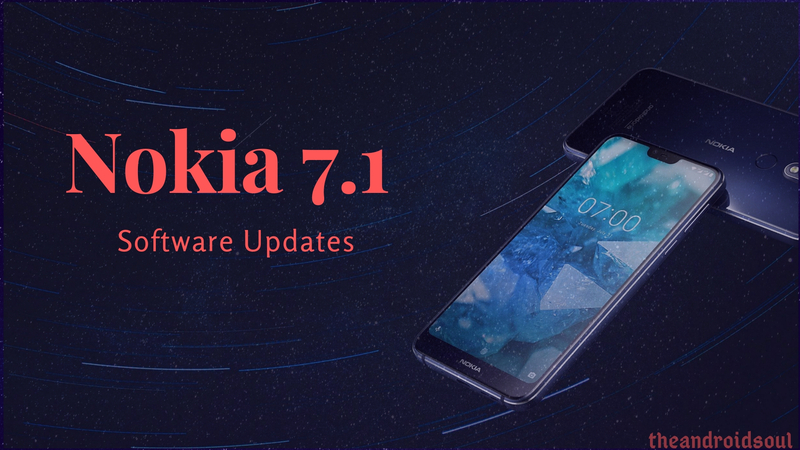 On this page, we bring you coverage about the Nokia 7.1 software updates, be it minor security patches and bug fixes or major Android OS upgrades, all in one place. As pointed out, Nokia 7.1 has Oreo out of the box and being an Android One device, it will receive at least two major Android OS upgrades. The first of the two, Android 9 Pie, is already available for download as from November 27, 2018. The Nokia 7 Plus took part in the early access program for Android P. We don’t expect the device to take part in the next OS beta program, but it’s likely the Nokia 7.1 may take part in the program, although we cannot guarantee this. With the public developer preview of Android Q expected in Q2 2019 at the Google I/O event in May, this could be the time the Nokia 7.1 gets an update to Q. But this is just us speculating, so take it with a huge chunk of salt. If you have any questions regarding Nokia 7.1 software updates, let us know about them in your comments below.